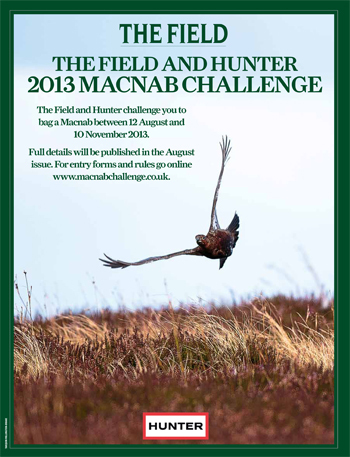 In suitable spirit The Field and Hunter have joined forces to launch The Field and Hunter Balmoral Macnab Challenge. This year all successful 2013 Macnabbers of whatever variety (and those we deem sporting enough in the pursuit), will be invited to The Field and Hunter Balmoral event in December. The most intrepid Macnabbers of all hues, as judged by the Editor, will be presented with a pair of commemorative cuff-links.